I don't like interface when I'm modeling (as well as sculpting or painting), so I tend to put in pie menus or shortcuts everything covers the main tools needed to keep a perspective view in full screen. Luxology gave us many precompiled pie menus with lots of useful commands and tools, I know, but I found that a personal touch in everything is always a must, in a program. This is one of the most useful shortcut I use to be faster in modeling: Select Through command on a specific pie menu. I need to thank Joe Angell who helped me with this on Luxology forums and teach me this powerful command: "?+". This command queries the value and simply increments it everytime the options of the tool are "true" or "false". So in this command line "tool.flag xfrm.transform select ?+", it activates or deactivates Select Through option on move/scale/rotate tools. Using this command on a pie menu with "selection modes" and the main "action center modes" can increments our speed in modeling. As you can see, I don't need interface and I don't need to move my cursor on the borders of my monitor to activate the main action center modes. I've a nice macro here, very helpful to make holes in a mesh or something like that. As always, put the .LXM script file in your scripts folder and assign a key (I prefer "Alt+Up arrow"). this time I want to share one of my useful scripts: the edge welder. Well, it's not properly a script, it's just a pie menu with two edited macros, one for each different use. If you downloaded previous 1.0 scripts, update the file from the download link. The first code merges 2 distant edges in a middle position, no more, no less. The second code is usefull to merge partial lines of edges (it doesn't touch adiacent unselected) or complete loops, nice to merge two specular meshes. - put the pie menu into another pie menu or assign a key to recall the scripts. 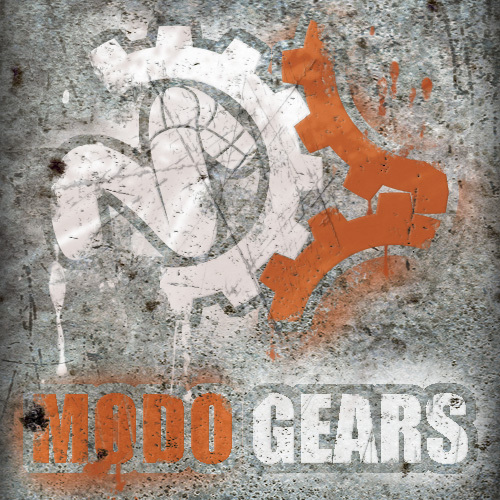 Welcome to the first Modo Gear! To inaugurate this collection, I think is a good idea to talk about… gears! This is a mini tutorial on how you may create a gear starting from a dedicated mesh asset. It's a 96 sides poly cylinder with beveled caps, a good start to generate a large set of gears. The theory is that 96 is divided by 2, 3, 4, 6, 8, 12, so we can extrude the needed cogs dimension/number, extremely useful if two or more gears must work together. The first step is to download this mesh and put it into your assets folder. From now, you may double click it in your preset browser and work as I do in this video. At this level we don't need to subdivide the mesh, but we can bevel the edges if needed. We love Luxology Modo because it's one of the most powerful 3D application out there. But it is not so powerful as we expect out of box, because of many things that are not so intuitive or not so fast or not so fantastic as they really are before some "adjustement" or "shrewdness". "Modo Gears" is a collection of tips&tricks, configs, tutorials, scripts that may help you to enhance your workflow with Luxology Modo. Everything you may read or download in this section is NOT the "one way" to use the program or do the work, but may be the best way I FOUND to use Luxology Modo to do my job. You may consider this section as a collection of different ways to do your job. You are the one who can say what's the best way for you. Everyone is invited to show me where I'm wrong or a better way to do the work, I will always thank you for that. This section is not built to learn the basics of Luxology Modo, this section is enabled for the user who know where the tool is. I use Modo in a different way compared to the default settings and layouts, so don't ask me "where I can find that tool you put in your pie menu" or "what shortcut you press for that operation". For basics tutorials, you may find more answers in Luxology basics tutorials or user's dedicated basics tutorials. Hope you enjoy my gears!